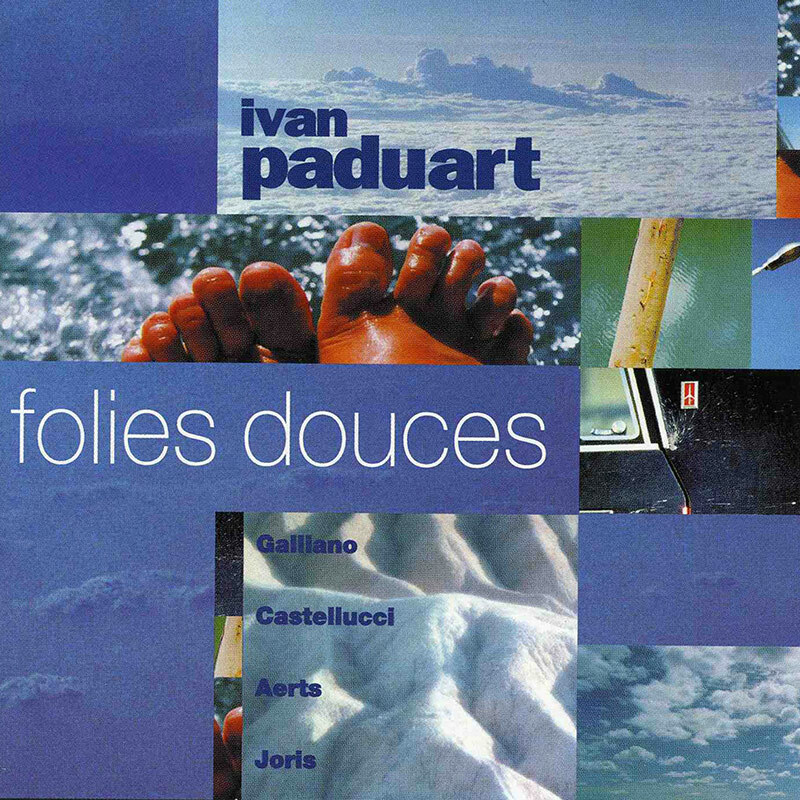 Surprising though it might seem for a pianist who is known for his musicality, skill in harmony and outright romanticism, Ivan Paduart’s introduction to music was as leader of the fusion experiment “Aftertouch”. For some time he has been working in an acoustic trio and he is now recognised as one of the foremost pianists. The critical success of the album “Illusions sensorielles” (IGL101) in 93 led to them recording again in the same format. He doesn’t deny his influences but puts them in evidence for their variety: Fauré, Piazzola, Prokofiev, Gismonti, Pierranunzi, Lins… Over the years Paduart has been able to develop his own musical personality, which is in demand by the French accordionist Richard Galliano, who again appears on this album, or the American trumpeter Tom Harrell he has recorded with in 1994 “Time Gone By” (AMC).